For other uses, see National park (disambiguation). A national park is a park in use for conservation purposes. Often it is a reserve of natural, semi-natural, or developed land that a sovereign state declares or owns. Although individual nations designate their own national parks differently, there is a common idea: the conservation of 'wild nature' for posterity and as a symbol of national pride. An international organization, the International Union for Conservation of Nature (IUCN), and its World Commission on Protected Areas (WCPA), has defined "National Park" as its Category II type of protected areas. While this type of national park had been proposed previously, the United States established the first "public park or pleasuring-ground for the benefit and enjoyment of the people", Yellowstone National Park, in 1872. Although Yellowstone was not officially termed a "national park" in its establishing law, it was always termed such in practice and is widely held to be the first and oldest national park in the world. However, the Tobago Main Ridge Forest Reserve (established in 1776), and the area surrounding Bogd Khan Uul Mountain (1778) are seen as the oldest legally protected areas, predating Yellowstone by nearly a century. The first area to use "national park" in its creation legislation was the U.S.'s Mackinac, in 1875. Australia's Royal National Park, established in 1879, was the world's third official national park. In 1895 ownership of Mackinac National Park was transferred to the State of Michigan as a state park and national park status was consequently lost. 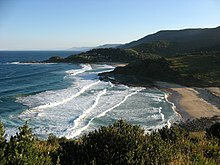 As a result, Australia's Royal National Park is by some considerations the second oldest national park now in existence. Canada established Parks Canada in 1911, becoming the world's first national service dedicated to protecting and presenting natural and historical treasures. The largest national park in the world meeting the IUCN definition is the Northeast Greenland National Park, which was established in 1974. According to the IUCN, 6,555 national parks worldwide met its criteria in 2006. IUCN is still discussing the parameters of defining a national park. National parks are almost always open to visitors. Most national parks provide outdoor recreation and camping opportunities as well as classes designed to educate the public on the importance of conservation and the natural wonders of the land in which the national park is located. Visitors are allowed to enter, under special conditions, for inspirational, educative, cultural, and recreative purposes. Prohibition of exploitation of natural resources (including the development of dams) qualified by such activities as sport, hunting, fishing, the need for management, facilities, etc. While national parks are generally understood to be administered by national governments (hence the name), in Australia national parks are run by state governments and predate the Federation of Australia; similarly, national parks in the Netherlands are administered by the provinces. In Canada, there are both national parks operated by the federal government and provincial or territorial parks operated by the provincial and territorial governments, although nearly all are still national parks by the IUCN definition. In many countries, including Indonesia, the Netherlands, and the United Kingdom, national parks do not adhere to the IUCN definition, while some areas which adhere to the IUCN definition are not designated as national parks. The United States in 1872. When Yellowstone was established, Wyoming, Montana and Idaho were territories, not states. For this reason, the federal government had to assume responsibility for the land, hence the creation of the national park. sort of national property, in which every man has a right and interest who has an eye to perceive and a heart to enjoy. (by some great protecting policy of government) ...in a magnificent park ...A nation's Park, containing man and beast, in all the wild and freshness of their nature's beauty! The first effort by the U.S. Federal government to set aside such protected lands was on 20 April 1832, when President Andrew Jackson signed legislation that the 22nd United States Congress had enacted to set aside four sections of land around what is now Hot Springs, Arkansas, to protect the natural, thermal springs and adjoining mountainsides for the future disposal of the U.S. government. It was known as Hot Springs Reservation, but no legal authority was established. Federal control of the area was not clearly established until 1877. John Muir is today referred to as the "Father of the National Parks" due to his work in Yosemite. He published two influential articles in The Century Magazine, which formed the base for the subsequent legislation. 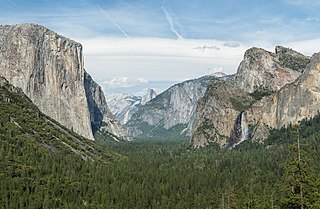 President Abraham Lincoln signed an Act of Congress on 1 July 1864, ceding the Yosemite Valley and the Mariposa Grove of giant sequoias (later becoming Yosemite National Park) to the state of California. According to this bill, private ownership of the land in this area was no longer possible. The state of California was designated to manage the park for "public use, resort, and recreation". Leases were permitted for up to ten years and the proceeds were to be used for conservation and improvement. A public discussion followed this first legislation of its kind and there was a heated debate over whether the government had the right to create parks. The perceived mismanagement of Yosemite by the Californian state was the reason why Yellowstone at its establishment six years later was put under national control. In 1872, Yellowstone National Park was established as the United States' first national park, being also the world's first national park. In some European and Asian countries, however, national protection and nature reserves already existed, such as a part of the Forest of Fontainebleau (France, 1861). Yellowstone was part of a federally governed territory. With no state government that could assume stewardship of the land, the federal government took on direct responsibility for the park, the official first national park of the United States. The combined effort and interest of conservationists, politicians and the Northern Pacific Railroad ensured the passage of enabling legislation by the United States Congress to create Yellowstone National Park. Theodore Roosevelt and his group of conservationists, the Boone and Crockett Club, were already an active campaigners, and so influential, as good stump speakers were highly necessary in the pre-telecommunications era, was highly influential in convincing fellow Republicans and big business to back the bill. Yellowstone National Park soon played a pivotal role in the conservation of these national treasures, as it was suffering at the hands of poachers and others who stood at the ready to pillage what they could from the area. Theodore Roosevelt and his newly formed Boone and Crockett Club successfully took the lead in protecting Yellowstone National Park from this plight, resulting in laws designed to conserve the natural resources in Yellowstone and other parks under the Government's purview. National parks are the best idea we ever had. Absolutely American, absolutely democratic, they reflect us at our best rather than our worst. In his book Dispossessing the Wilderness: Indian Removal and the Making of the National Parks, Mark David Spence made the point that in order to create these uninhabited spaces, the United States first had to disposess the Indians who were living in them. Even with the creation of Yellowstone, Yosemite, and nearly 37 other national parks and monuments, another 44 years passed before an agency was created in the United States to administer these units in a comprehensive way – the U.S. National Park Service (NPS). The 64th United States Congress passed the National Park Service Organic Act, which President Woodrow Wilson signed into law on 25 August 1916. Of the 419 sites managed by the National Park Service of the United States, only 60 carry the designation of National Park. Following the idea established in Yellowstone, there soon followed parks in other nations. In Australia, the Royal National Park was established just south of Sydney on 26 April 1879, becoming the world's second official national park (actually the 3rd: Mackinac National Park in Michigan was created in 1875 as a national park but was later transferred to the state's authority in 1895, thus losing its official "national park" status). Rocky Mountain National Park became Canada's first national park in 1885. Argentina became the third country in the Americas to create a national park system, with the creation of the Nahuel Huapi National Park in 1934, through the initiative of Francisco Moreno. New Zealand established Tongariro National Park in 1887. In Europe, the first national parks were a set of nine parks in Sweden in 1909, followed by the Swiss National Park in 1914. The UK waited until 1951 for the designation of its first national park, The Peak District National Park which sits at the southern end of the Pennine Hills surrounded by industrial cities. This followed perhaps 70 years of pressure for greater public access to the landscape. By the end of the decade a further 9 national parks had been designated. Europe has some 359 national parks as of 2010. Africa's first national park was established in 1925 when Albert I of Belgium designated an area of what is now Democratic Republic of Congo centred on the Virunga Mountains as the Albert National Park (since renamed Virunga National Park). In 1973, Mount Kilimanjaro was classified as a National Park and was opened to public access in 1977. In 1926, the government of South Africa designated Kruger National Park as the nation's first national park, although it was an expansion of the earlier Sabie Game Reserve established in 1898 by President Paul Kruger of the old South African Republic, after whom the park was named. After World War II, national parks were founded all over the world. The Vanoise National Park in the Alps was the first French national park, created in 1963 after public mobilization against a touristic project. The world's first national park service was established 19 May 1911, in Canada. The Dominion Forest Reserves and Parks Act placed the dominion parks under the administration of the Dominion Park Branch (now Parks Canada). The branch was established to "protect sites of natural wonder" to provide a recreational experience, centered on the idea of the natural world providing rest and spiritual renewal from the urban setting. Canada now has the largest protected area in the world with 377,000 km² of national park space. In 1989, the Qomolangma National Nature Preserve (QNNP) was created to protect 3.381 million hectares on the north slope of Mount Everest in the Tibet Autonomous Region of China. This national park is the first major global park to have no separate warden and protection staff—all of its management being done through existing local authorities, allowing a lower cost basis and a larger geographical coverage (in 1989 when created, it was the largest protected area in Asia). It includes four of the six highest mountains Everest, Lhotse, Makalu, and Cho Oyu. The QNNP is contiguous to four Nepali national parks, creating a transborder conservation area equal in size to Switzerland. Lahemaa National Park in Estonia was the first area to be designated a national park in the former Soviet Union. Jiuzhaigou in China is a national park known for its many multi-level waterfalls, colorful lakes, and snow-capped peaks. Deosai National Park in Pakistan is known for being one of the highest plains in the world. Zion National Park is one of the most visited national parks in the United States. Countries with a large nature-based tourism industry, such as Costa Rica, often experience a huge economic effect on park management as well as the economy of the country as a whole. Tourism to national parks has increased considerably over time. In Costa Rica for example, a megadiverse country, tourism to parks has increased by 400% from 1985 to 1999. The term national park is perceived as a brand name that is associated with nature-based tourism and it symbolizes a "high quality natural environment with a well-designed tourist infrastructure". The duties of a park ranger are to supervise, manage, and/or perform work in the conservation and use of Federal park resources. This involves functions such as park conservation; natural, historical, and cultural resource management; and the development and operation of interpretive and recreational programs for the benefit of the visiting public. Park rangers also have fire fighting responsibilities and execute search and rescue missions. Activities also include heritage interpretation to disseminate information to visitors of general, historical, or scientific information. Management of resources such as wildlife, lakeshores, seashores, forests, historic buildings, battlefields, archeological properties, and recreation areas are also part of the job of a park ranger. Since the establishment of the National Park Service in the US in 1916, the role of the park ranger has shifted from merely being a custodian of natural resources to include several activities that are associated with law enforcement. They control traffic and investigate violations, complaints, trespass/encroachment, and accidents. ^ Report of the Superintendent of Yellowstone National Park for the Year 1872 Archived 3 April 2016 at the Wayback Machine, 43rd Congress, 3rd Session, ex. doc. 35, quoting Department of Interior letter of 10 May 1872, "The reservation so set apart is to be known as the "Yellowstone National Park"." ^ "Tobago Main Ridge Forest Reserve". UNESCO. 17 August 2011. Retrieved 13 August 2018. ^ Hardy, U. (9 April 2017). "The 10 Oldest National Parks In The World". The CultureTrip. Retrieved 21 December 2017. ^ Bonnett, A. (2016). The Geography of Nostalgia: Global and Local Perspectives on Modernity and Loss. Routledge. p. 68. ISBN 978-1-315-88297-0. ^ "National parks". Department of Communications, Information Technology and the Arts. Australian Government. 31 July 2007. Retrieved 2 November 2014. ^ "Audley Bottom". Pinkava.asu.edu. Archived from the original on 2 November 2014. Retrieved 3 November 2014. ^ "History of the National Parks". Association of National Park Authorities. Archived from the original on 21 April 2013. Retrieved 12 November 2012. ^ Jane Levere (29 August 2011). "The World's Most Beautiful National Parks". Forbes. Archived from the original on 1 October 2011. Retrieved 4 October 2011. ^ Gulez, Sumer (1992). A method of evaluating areas for national park status. ^ "Provincial Parks". The Canadian Encyclopedia, February 7, 2006. ^ Wordsworth, William (1835). A guide through the district of the lakes in the north of England with a description of the scenery, &c. for the use of tourists and residents (5th ed.). Kendal, England: Hudson and Nicholson. p. 88. ^ Catlin, George (1841). Letters and Notes on the manners, customs, and condition of the North American Indians: written during eight years' travel amongst the wildest tribes of Indians in North America in 1832, 33, 34, 35, 36, 37, 38, and 39. 1. Egyptian Hall, Piccadilly, London: Published by the author. pp. 261–262. Archived from the original on 1 May 2016. ^ a b Shugart, Sharon (2004). "Hot Springs of Arkansas Through the Years: A Chronology of Events" (PDF). National Park Service. Archived (PDF) from the original on 14 April 2008. Retrieved 30 March 2008. ^ Peters, Richard, ed. (1866). "Twenty-Second Congress, Session 1, Chap. 70: An Act authorizing the governor of the territory of Arkansas to lease the salt springs, in said territory, and for other purposes (April 20, 1832)" (PDF). The Public Statutes at Large of the United States of America from the Organization of the Government in 1789, to 3 March 1845, Treaties, and Proclamations of the United States of America from December 1863, to December 1865. 4. Boston: Charles C. Little and James Brown. p. 505. Archived from the original (PDF) on 15 November 2011. ^ "Act Establishing Yellowstone National Park (1872)". Our Documents.gov. Archived from the original on 4 March 2016. Retrieved 9 January 2016. ^ Sanger, George P., ed. (1866). "Thirty-Eighth Congress, Session 1, Chap. 184: An Act authorizing a Grant to the State of California of the "Yo-Semite Valley" and of the Land embracing the "Mariposa Big Tree Grove" (June 30, 1864)" (PDF). 38th United States Congress, Session 1, 1864. In: The Statutes at Large, Treaties, and Proclamations of the United States of America from December 1863, to December 1865. 13. Boston: Little, Brown and Company. p. 325. Archived from the original (PDF) on 16 November 2011. ^ Mangan, Elizabeth U. Yellowstone, the First National Park from Mapping the National Parks Archived 19 October 2013 at the Wayback Machine. Library of Congress, Geography and Map Division. ^ "Famous Quotes Concerning the National Parks: Wallace Stegner, 1983". Discover History. National Park Service. 16 January 2003. Archived from the original on 8 May 2011. Retrieved 24 October 2011. ^ "National Park System (U.S. National Park Service)". 2018-03-15. ^ "1879: Australia's first national park created". National Museum of Australia. Archived from the original on 28 January 2016. Retrieved 9 January 2016. ^ "Mackinac Island". Michigan State Housing Development Authority. Archived from the original on 5 January 2016. Retrieved 9 January 2016. ^ "Kilimanjaro: The National Park". Private Kilimanjaro: About Kilimanjaro. Private Expeditions, Ltd. 2011. Archived from the original on 17 October 2011. Retrieved 24 October 2011. ^ Irish, Paul (13 May 2011). "Parks Canada celebrates a century of discovery". Toronto Star. Archived from the original on 16 May 2011. Retrieved 18 May 2011. ^ "Parks Canada History". Parks Canada. 2 February 2009. Archived from the original on 22 October 2016. Retrieved 30 August 2012. ^ "Parks Canada". Parks Canada. Archived from the original on 23 March 2009. Retrieved 30 August 2012. ^ a b U.S. Office of Personnel Management. Handbook of occupational groups and families. Washington, D.C. January 2008. Page 19. OPM.gov Archived 3 January 2009 at the Wayback Machine Accessed 2 November 2014. Eagles, Paul F. J; McCool, Stephen F. (2002). Tourism in National Parks and Protected Areas: Planning and Management. CABI. ISBN 0851997597. CS1 maint: Uses authors parameter (link) 320 pages. Sellars, Richard West (2009). Preserving Nature in the National Parks: A History. Yale University Press. ISBN 0300154143. CS1 maint: Uses authors parameter (link) 404 pages. "Areas of Biodiversity Importance: National Parks". Biodiversity A-Z. "Europe's protected areas". EUROPARC Federation. "FAQs". U.S. National Park Service. Macomber, Drew (September 10, 2018). "Map Of All The World's National Parks". Travel Is Free. "Man and the Biosphere Programme (Biosphere Reserves)". UNESCO. "National parks, landscape parks and protected areas in the world". nighthee.com. "National Parks Worldwide". amu.edu.pl. Archived from the original on 19 January 2008. Retrieved 3 January 2008. "World Database of Protected Areas". Protected Planet. Canada's National Parks are protected areas under the Canada National Parks Act, owned by the Government of Canada and administered for the benefit, education, and enjoyment of the people of Canada and its future generations. National parks are administered by Parks Canada, a Crown agency operating under the jurisdiction of the Ministry of Environment and Climate Change. The goal of the national parks system is to set aside lands representing the country's 39 distinct natural regions described in the National Parks System Plan, primarily to protect the ecological integrity of the land, and secondarily to allow the public to explore, learn about and enjoy Canada's natural spaces. Yosemite National Park is an American national park located in the western Sierra Nevada of Central California, bounded on the southeast by Sierra National Forest and on the northwest by Stanislaus National Forest. The park is managed by the National Park Service and covers an area of 747,956 acres and sits in four counties: centered in Tuolumne and Mariposa, extending north and east to Mono and south to Madera County. Designated a World Heritage site in 1984, Yosemite is internationally recognized for its granite cliffs, waterfalls, clear streams, giant sequoia groves, lakes, mountains, meadows, glaciers, and biological diversity. Almost 95% of the park is designated wilderness. Conservation is an ethic of resource use, allocation, and protection. Its primary focus is upon maintaining the health of the natural world, its fisheries, habitats, and biological diversity. Secondary focus is on material conservation, including non-renewable resources such as metals, minerals and fossil fuels, and energy conservation, which is important to protect the natural world. Those who follow the conservation ethic and, especially, those who advocate or work toward conservation goals are termed conservationists. Protected areas or conservation areas are locations which receive protection because of their recognized natural, ecological or cultural values. There are several kinds of protected areas, which vary by level of protection depending on the enabling laws of each country or the regulations of the international organizations involved. A nature reserve is a protected area of importance for flora, fauna or features of geological or other special interest, which is reserved and managed for conservation and to provide special opportunities for study or research. Nature reserves may be designated by government institutions in some countries, or by private landowners, such as charities and research institutions, regardless of nationality. Nature reserves fall into different IUCN categories depending on the level of protection afforded by local laws. Normally it is more strictly protected than a nature park. State parks are parks or other protected areas managed at the sub-national level within those nations which use "state" as a political subdivision. State parks are typically established by a state to preserve a location on account of its natural beauty, historic interest, or recreational potential. There are state parks under the administration of the government of each U.S. state, some of the Mexican states, and in Brazil. The term is also used in the Australian state of Victoria. The equivalent term used in Canada, Argentina, South Africa and Belgium, is provincial park. Similar systems of local government maintained parks exist in other countries, but the terminology varies. Wilderness or wildland is a natural environment on Earth that has not been significantly modified by human activity. It may also be defined as: "The most intact, undisturbed wild natural areas left on our planet—those last truly wild places that humans do not control and have not developed with roads, pipelines or other industrial infrastructure." The term has traditionally referred to terrestrial environments, though growing attention is being placed on marine wilderness. Recent maps of wilderness suggest it covers roughly one quarter of Earth's terrestrial surface, but is being rapidly degraded by human activity. Even less wilderness remains in the ocean, with only 13.2% free from intense human activity. A park ranger, park warden, or forest ranger is a person entrusted with protecting and preserving parklands – national, state, provincial, or local parks. "Parks" may be broadly defined by some systems in this context, and include protected culturally or historically important built environments, and is not limited to the natural environment. Different countries use different names for the position. Warden is the favored term in Canada, Ireland, and the United Kingdom. Within the United States, the National Park Service refers to the position as a park ranger. The U.S. Forest Service refers to the position as a forest ranger. Other countries use the term park warden or game warden to describe this occupation. The profession includes a number of disciplines and specializations, and park rangers are often required to be proficient in more than one. Marine protected areas (MPA) are protected areas of seas, oceans, estuaries or large lakes. These marine areas can come in many forms ranging from wildlife refuges to research facilities. MPAs restrict human activity for a conservation purpose, typically to protect natural or cultural resources. Such marine resources are protected by local, state, territorial, native, regional, national, or international authorities and differ substantially among and between nations. This variation includes different limitations on development, fishing practices, fishing seasons and catch limits, moorings and bans on removing or disrupting marine life. In some situations, MPAs also provide revenue for countries, potentially equal to the income that they would have if they were to grant companies permissions to fish. This list of national parks of Madagascar includes all officially recognized protected areas as of 2015. The protected areas network of Madagascar is managed by the Madagascar National Parks Association (PNM-ANGAP). The network includes three types of protected areas: Strict Nature Reserves, National Parks and Wildlife Reserves. At the 2003 IUCN World Parks Congress in Durban, the Malagasy President, Marc Ravalomanana, announced an initiative to more than triple the area under protection from approximately 4,200,791 acres (17,000.00 km2) to over 14,826,322 acres (60,000.00 km2). This "Durban Vision", as it has been dubbed, involved broadening the definition of protected areas in the country and legislation has been passed to allow the creation of four new categories of protected area: Natural Parks, Natural Monuments, Protected Landscapes, and Natural Resource Reserves. As well as allowing these new objectives for protected areas management, the new legislation also provided for entities other than PNM-ANGAP to manage protected areas, such as government ministries, community associations, NGOs and other civil society organizations, and the private sector. Harvey Locke is a conservationist, writer, and photographer. He is a recognized global leader in the field of parks, wilderness, wildlife and large landscape conservation. He is a founder of the Yellowstone to Yukon Conservation Initiative, with the goal to create a continuous corridor for wildlife from Yellowstone National Park in the United States to the Yukon in Northern Canada. In 1999 Locke was named one of Canada's leaders for the 21st century by Time Magazine Canada. In 2013, he received the J.B. Harkin Medal for Conservation and the Queen Elizabeth II Diamond Jubilee Medal and in 2014 he was awarded the Fred M. Packard Award for outstanding service to protected areas by the IUCN World Commission on Protected Areas at the World Parks Congress in Sydney, Australia. Locke also received in 2014 the Gold Leaf Award from the Canadian Council on Ecological Areas for his lifetime of extraordinary commitment and vision to advance the cause of parks, wilderness, ecological integrity and landscape connectivity in North America and the world. Locke is a co-founder of the Nature Needs Half Movement. Conservation photography is the active use of the photographic process and its products, within the parameters of photojournalism, to advocate for conservation outcomes. IUCN protected area categories, or IUCN protected area management categories, are categories used to classify protected areas in a system developed by the International Union for the Conservation of Nature (IUCN).